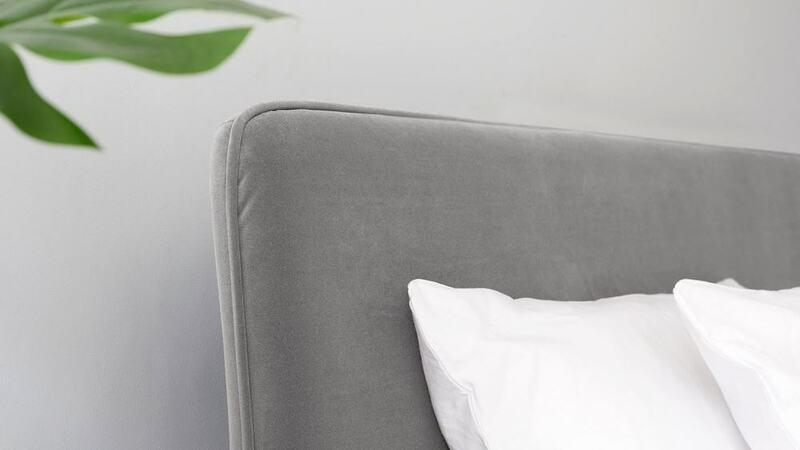 Add a modern luxe look to your bedroom but in a more subtle, considered way with the Turin Feather Grey Velvet King Size Bed. Simple in shape and design, it's the quiet details and smooth velvet upholstery that give this modern king size bed its designer good looks. With storage space it's practical too, helping you really make the most of your bedroom. The Turin king size bed frame has sprung slats that have been designed to increase the overall comfort. 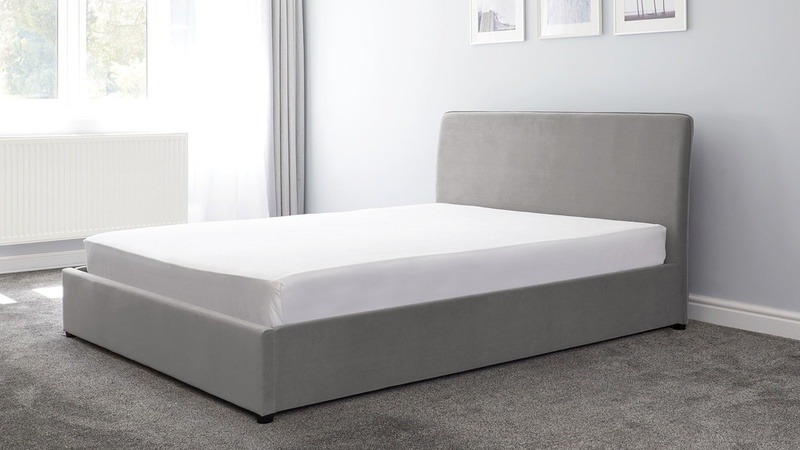 The sprung slats help to keep your mattress in the best, most supportive position, helping you get the most out of your bed and mattress. The Turin bed has a simple headboard with a neat pipe detailing. 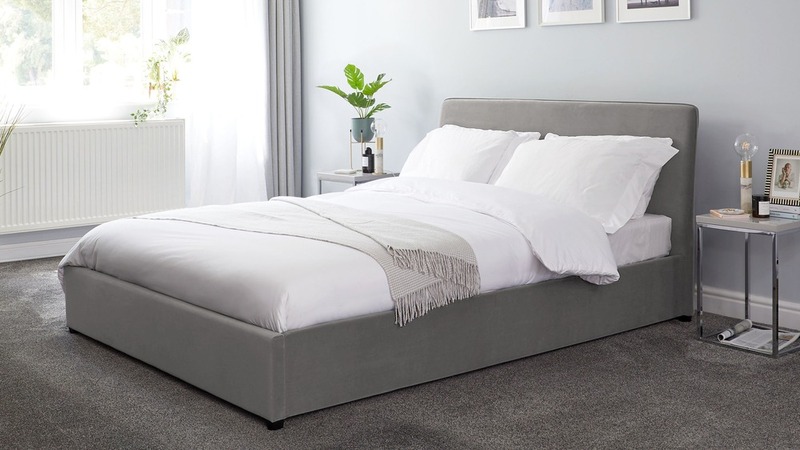 Don't think simple means plain though, as the style of the Turin bed will still add a feeling of modern luxe, just without the designer price tag. The clean shape also means the Turin bed won't date, so is a good investment piece that'll stay looking fresh in your home for years to come. The type of velvet upholstery used for this king size bed is a feather grey short pile polyester velvet. It's a durable, everyday material but with the softer, matt appearance of a cotton velvet. Short pile polyester velvet offers a soft look and texture without too much of a sheen, making it a far more accessible way to introduce a plush finish to your home.